The SouthMed CV Final Conference “Communities of practice for the public value of culture in the Southern Mediterranean’ was held at BOZAR in Brussels, Belgium, on 10 April 2018, bringing the project to an end. 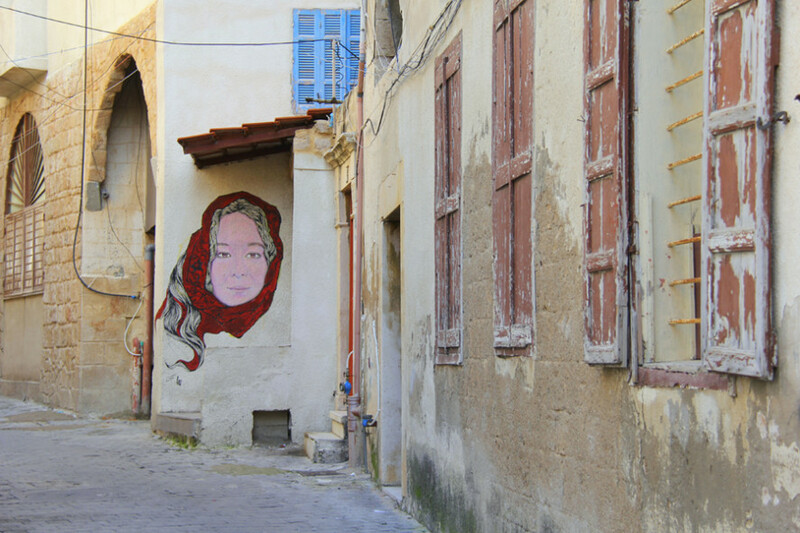 From April 2015 to April 2018 SouthMed CV has showcased and strengthened the role of culture in fostering public spaces for active citizenship and has explored the contribution of culture towards economic, social and political development processes in the Southern Mediterranean. Through two open calls for proposals, SouthMed CV has supported and coached 38 cultural and innovative projects from Algeria, Egypt, Jordan, Lebanon, Morocco, Palestine and Tunisia that, through and with culture, have contributed to social inclusion, urban development, human rights, gender, cultural diversity, education, environment, etc… SouthMed CV has also fostered synergies with private and public stakeholders to strengthen mobility and exchanges across the Southern Mediterranean and with the European Union and other relevant initiatives in the region, such as the Roberto Cimetta Fund, the Arab Fund for Arts and Culture – AFAC, Al-Mawred Al Thaqafi Cultural Resource, the Anna Lindh Foundation, and the Drosos Foundation. Ultimately, SouthMed CV has strengthened and given visibility to new communities of practice across the Southern Mediterranean. Its sub-granting scheme and methodology has proven to be a successful type of action that could be invested in and developed on through a longer term basis in the region. Sous le patronage de Sa Majesté la Reine Noor Al Hussein du Royaume Hachimite de Jordanie et en partenariat avec le Palais des Beaux-Arts – BOZAR, le projet « SouthMed CV – Communauté de Pratique pour la Valeur Publique de la Culture dans le sud de la Méditerranée » tiendra sa Conférence Finale le 10 Avril 2018 à BOZAR, Bruxelles, Belgique. 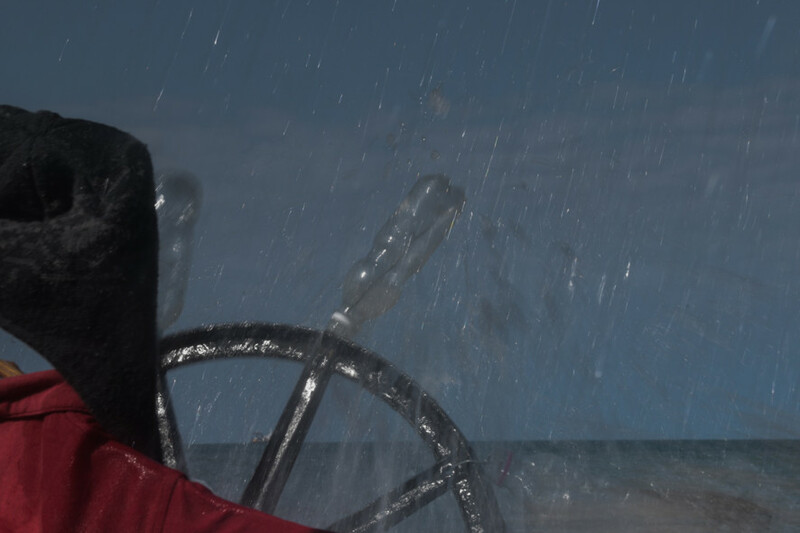 La Conférence Finale présentera les résultats de SouthMed CV et les 38 projets subventionnés ayant renforcé l’idée que la culture peut avoir un impact social et économique réel dans le Sud de la Méditerranée, tout en contribuant au développement humain de la région. L’évènement inclura également la présentation du livre « MAHATTAT » qui rend compte des dynamiques animant la rive Sud de la Méditerranée de 2015 à 2018 sous le prisme de SouthMed CV. La Conférence Finale sera composée d’une session à huis clos et d’un évènement public. L’ouverture de la session à huis clos se fera en présence de Sa Majesté la Princesse Wijdan Bint Fawwaz Al Hashimi du Royaume Hachimite de Jordanie et des représentants de BOZAR et d’Interarts, ainsi que l’UE, co-financeur de SouthMed CV dans le cadre du programme régional Med Culture. Oussama Rifahi – Fonds Arabe pour les Arts et la Culture – (Liban) et Ferdinand Richard – Fonds Roberto Cimetta (France) – seront les intervenants principaux de cette partie de la Conférence qui regroupera les membres du Consortium SouthMed CV, des représentants de la Commission Européenne et du corps diplomatique en Belgique, avec la participation d’experts et d’opérateurs culturels d’Europe, de Jordanie, d’Egypte, de Tunisie, du Maroc, du Liban et de Palestine. Durant l’évènement ouvert au public en général à Bruxelles, des bénéficiaires des subventions SouthMed CV présenteront leurs expériences quant au rôle clé de la culture quant à la sensibilisation aux questions relatives aux droits de l’homme, la manière d’envisager les processus d’urbanisation, la création de plateformes d’engagement civique pour les jeunes, la contribution au développement économique par la professionnalisation des opérateurs culturels, ainsi que la promotion de la coopération Sud-Sud. Mercedes Giovinazzo, Directrice d’Interarts et Fatin Farhat, évaluatrice externe du projet SouthMed CV de Palestine, partageront avec l’audience les conclusions du projet qui a en outre travaillé à renforcer la collaboration trans-sectorielle, le réseautage et les échanges entre pairs au profit des opérateurs culturels des pays visés grâce à des rencontres de mobilité et de renforcement des capacités. Une conférence de presse sera tenue dans la matinée du 10 Avril précédant l’évènement principal, dans le but de présenter le projet SouthMed CV aux différents médias. 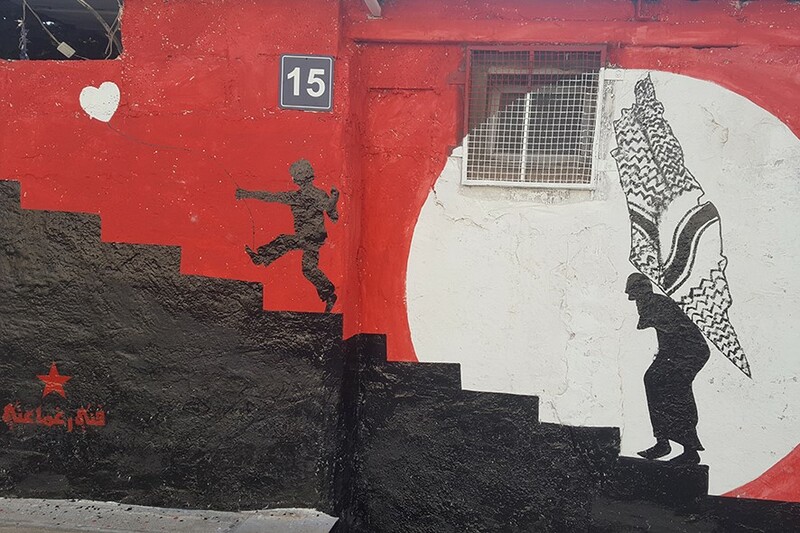 Crédit photo : Fanni Raghman Anni, Ramallah (Palestine). MAHATTAT, which sets out the experience of the project ‘SouthMed CV – Communities of Practice for the Public Value of Culture in the Southern Mediterranean’, will be published in March 2018. The book comes with a comic by well-known Tunisian illustrator, artist and cartoonist Seïf Eddine Nechi, who also designed the book cover and illustrations. 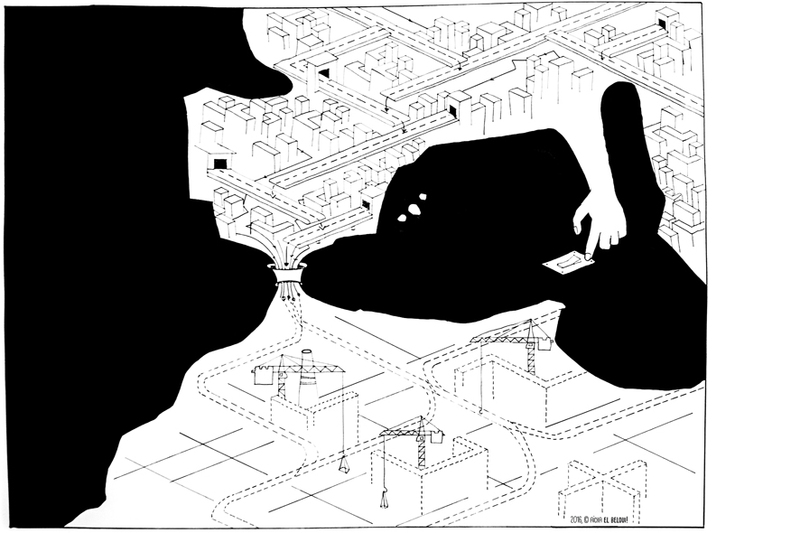 Founding member of LAB-619, Nechi has participated in numerous national and international exhibitions, including the latest International Angoulême Festival (January 2018). 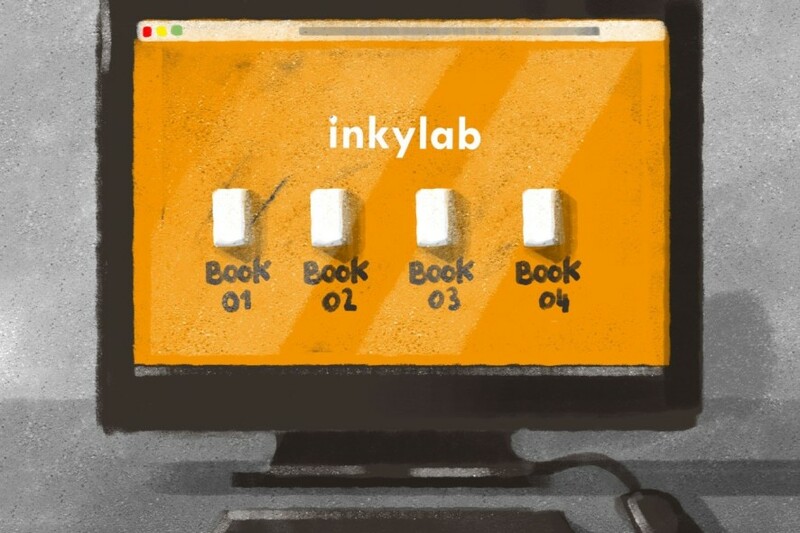 He won best digital comic at the CairoComix International Festival 2017 (September 2017) for Bombyx Mori. 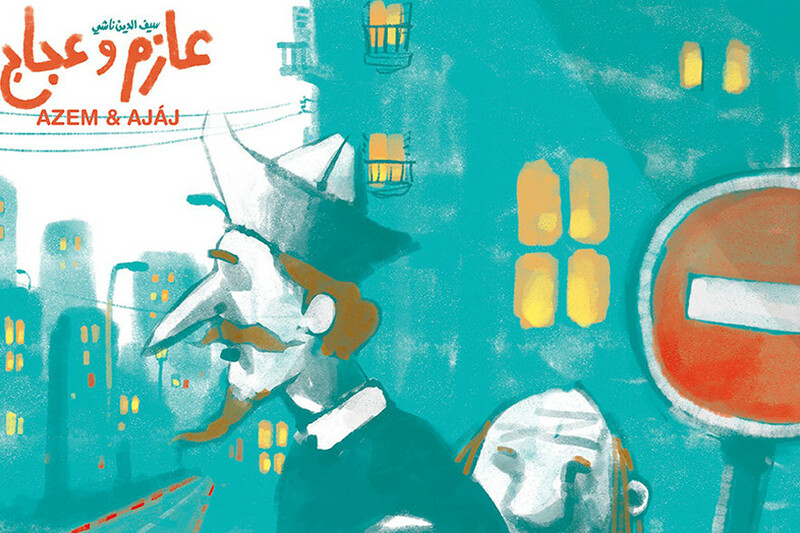 For this comic Nechi has devised a plot in which two characters, Azem and Ajáj (who are reminiscent of Don Quixote and Sancho Panza), reflect on the role of culture in the Southern Mediterranean region as they are on their travels. 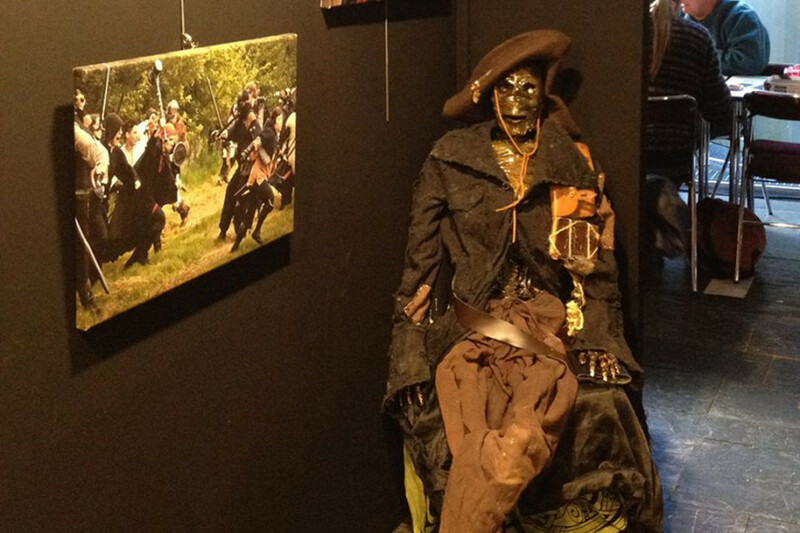 The story highlights the importance of and need for culture in the development of society. Different colour schemes are used to reinforce this message, such as passages in chromatic and grey spectrums, use of black and white, etc. SouthMed CV is co-funded by the EU within the framework of the regional programme Med Culture. Recently, a big event of the project “SouthMed CV- Communities of Practice for the Public Value of Culture in the Southern Mediterranean” took place in Amman, Jordan, between 1st and 4th December 2017. 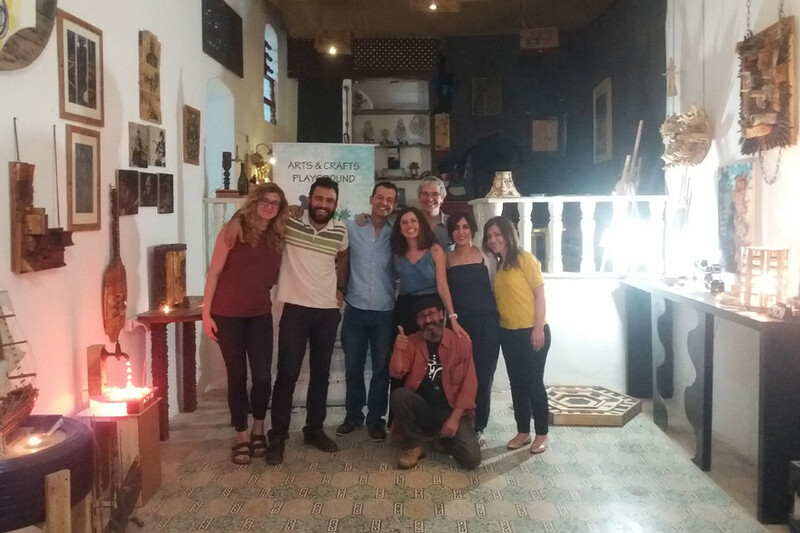 Different activities were held, the first one was the final meeting with the six organizations that conform the SouthMed CV Consortium: Interarts, Spain, leader of the project; BAC Art Centre, Tunisia; Gudran for Art and Development, Egypt; Khayal, Arts & Education, Lebanon; National Centre for Culture and Arts – NCCA, Jordan; and the German Commission for the UNESCO, Germany. The meeting assessed the impact of the project on the targeted countries – Algeria, Egypt, Jordan, Lebanon, Morocco, Palestine and Tunisia, and evaluated the results achieved by the sub-granted projects. On the following day, December 2nd, more than thirty representatives from the sub-granted projects took part on different capacity building and networking workshops on the following topics: the current challenges and perspectives of the state of culture in the Southern Mediterranean region; the synergies and partnerships achieved in the region; the contribution of SouthMed CV to culture as a vector of socio-economic development in the region; and the SouthMed CV role in the regional enhancement of Culture and Education. The sub-grantees also attended the Amman Regional Conference by participating in the work groups and in the panels. 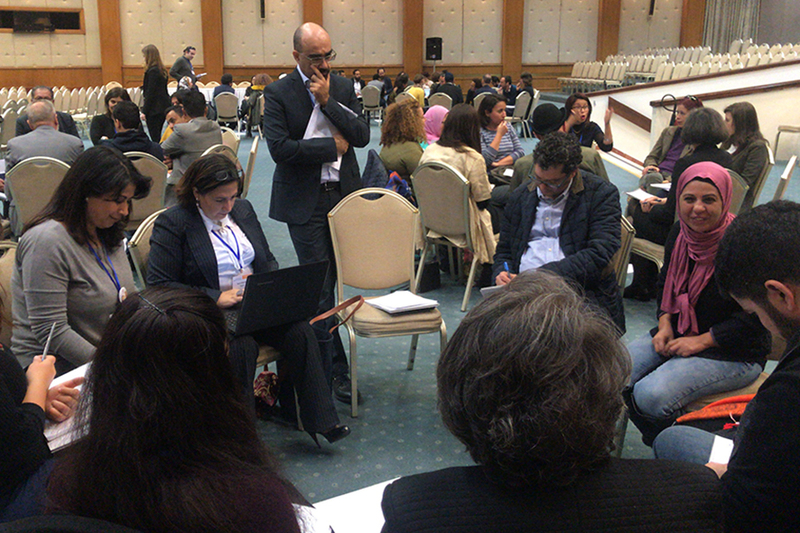 The work groups discussed several issues raised by the two main panels and their key speakers: On the one hand, ‘Building a cultural system in the Southern Mediterranean region’, and on the other, ‘Culture as a vector for development in the Southern Mediterranean region’. The Conference was held under the patronage of Her Majesty, Queen Noor Al Hussein, on the 3rd and 4th of December. Organized by the National Centre for Culture and Arts – NCCA and Interarts. Local authorities and experts from the Euro-Mediterranean region in the field of culture and development attended: Oussama Rifahi, Board member AFAC; Carole Gürtler, Head of Department Levant, Drosos Foundation; Helena Nassif, Executive director Al Mawred Al Thaqafi; Hicham Bouzid, Artistic director Think Tanger; Christiane Dabdoub, Team leader MedCulture; Ferdinand Richard, Chairman Roberto Cimetta Fund; Ammar Kessab, Senior Governance Specialist African Development Bank; Antonio Lázaro Gozalo, Director Instituto Cervantes Amán; Ouafa Belgacem, CEO and co-founder Culture Funding Watch; Fatin Farhat, Independent art operator and researcher, etc. Their key note speeches, together with the conclusions reached by the working groups, were shared in the plenary session that took place on the second day of the Conference. A video with a compilation of images about the activities and work implemented by eleven of the sub-granted projects, together with the SouthMed CV final publication content were shown on the second day of the conference, which culminated with the conclusions presented by Lina Attel and Mercedes Giovinazzo, directors of NCCA and Interarts, respectively. The conclusions highlighted the capacity of SouthMed CV to enable, strengthen and achieve a cooperation networking system between cultural organizations and other stakeholders across the Southern Mediterranean region, and its impact on different sectors of society. These results indicate the necessity for programs with a main focus on culture as a factor for development to continue funding the region, in order to improve the sustainability of the results achieved, and preferably on a longer duration basis than 36 months, the time allocated to the SouthMed CV project, which is to end in March 2018. SouthMed CV is co-funded by the EU under the regional program Med Culture. Under the Royal Patronage of Her Majesty Queen Noor Al Hussein, SouthMed CV will hold a regional conference in the Royal Cultural Center in Amman, Jordan on the 3rd and 4th of December 2017. The conference will bring together representatives of 30 cultural projects sub-granted by SouthMed CV during the past 2 years, as well as local public authorities, cultural practitioners, artists, academics, international experts in the field of culture and development, and representatives the EU and the Southern Mediterranean countries’ institutions in Jordan. During the conference, two different panels reflecting on the culture as a vector for development in the Southern Mediterranean region with the participation of experts from the Euro-Mediterranean region will be held. Moreover, group discussions among the SouthMed CV sub-grantees, speakers and the audience on cross border cooperation to foster the emergence of citizen platforms, new models for public-private partnerships, culture as an instrument to lead changes, creative economy in the Southern Mediterranean region, among other issues, will take place. The conference is open to the public. The registration will take place at the Royal Cultural Center on the 3rd of December, at 9 am. During the past 2 years, SouthMed CV has launched 2 calls for applications, sub-granted 38 artistic and cultural projects in the Southern Mediterranean region, reaching 118 associations and organizations from 7 countries, and engaging thousands of cultural practitioners and audience. Photo by freshwater2006, published under Creative Commons Licence, Attribution-NonCommercial 2.0 Generic (CC BY-NC 2.0). 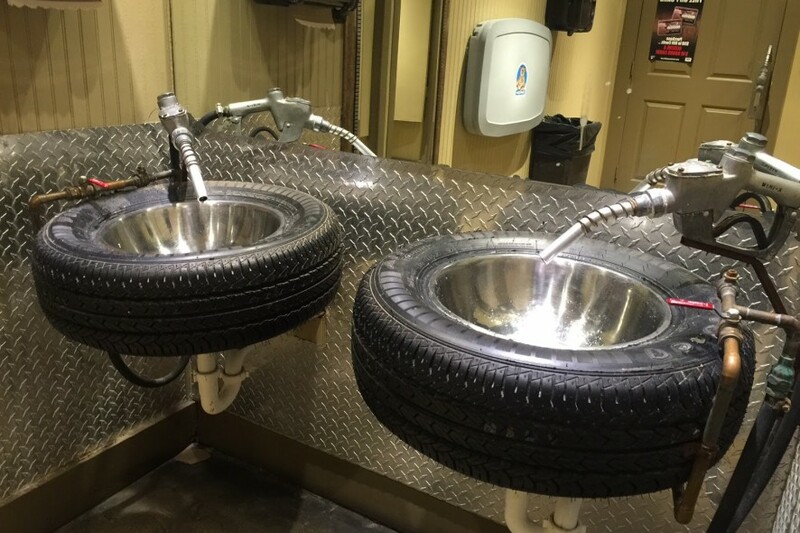 No changes were made to the picture. 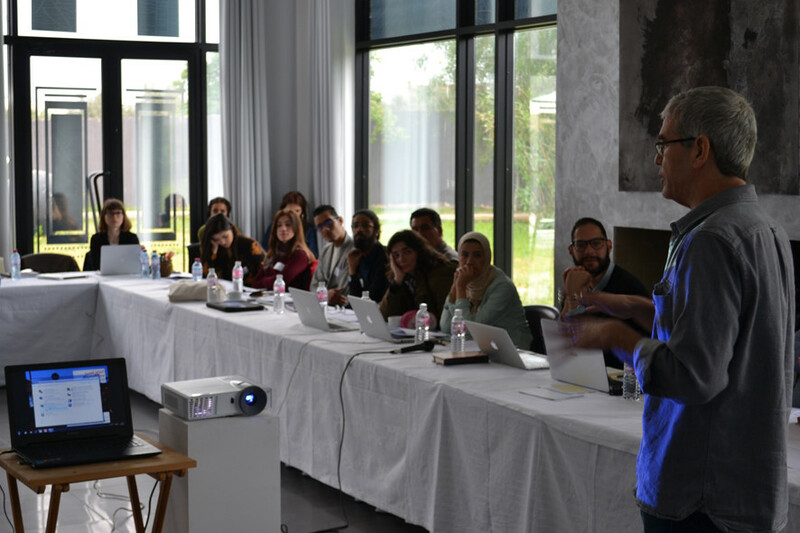 Between the 25th of September and the 10th of October 2017, within the MADRASSA programme, a series of training sessions and residencies of contemporary curatorial practices has taken place across the MENA region: Morocco, Algeria, Egypt and Jordan. 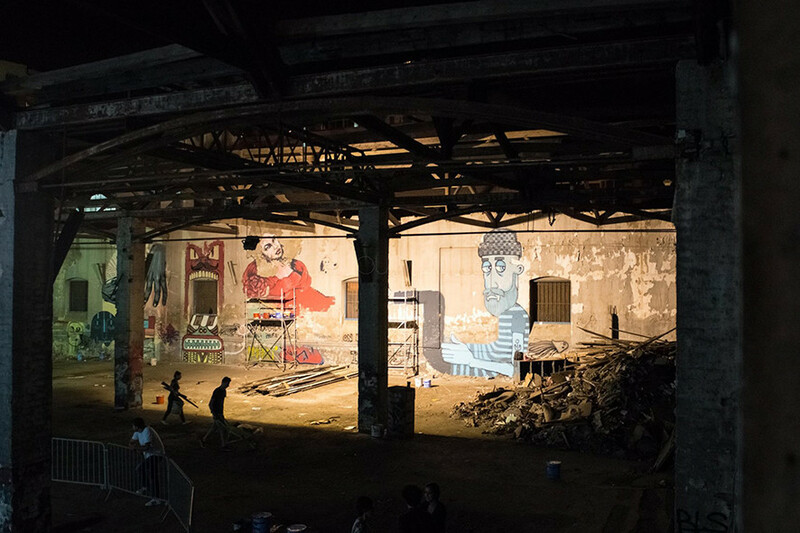 The programme was launched in 2015 by Atelier de l’Observatoire from Casablanca, and the second edition is currently being implemented by Spring Sessions from Jordan, in partnership with Atelier de l’Observatoire, ARIA – Artist Residencies in Algiers and MASS Alexandria in Egypt. It is currently implemented as a SouthMed CV sub-granted project. The Madrassa call for participation was launched in April 2017, the results were announced in May. 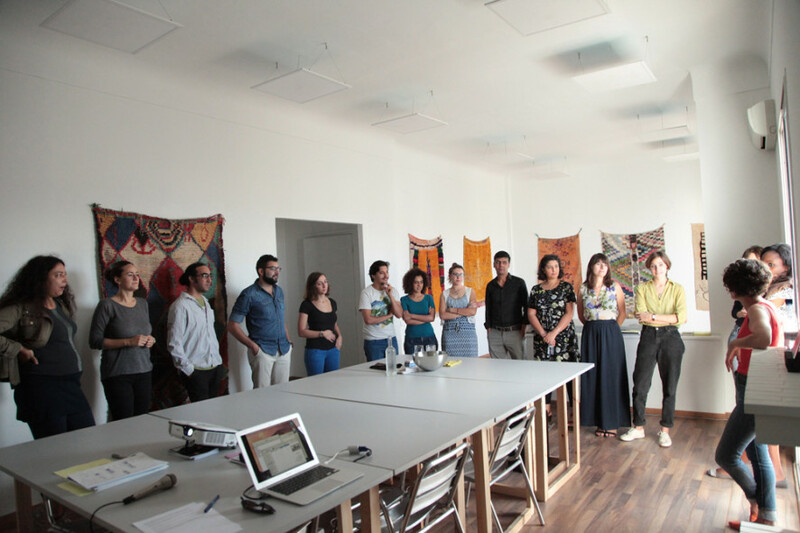 Ten beneficiaries were selected: young independent curators, students, cultural managers and artists from the region. 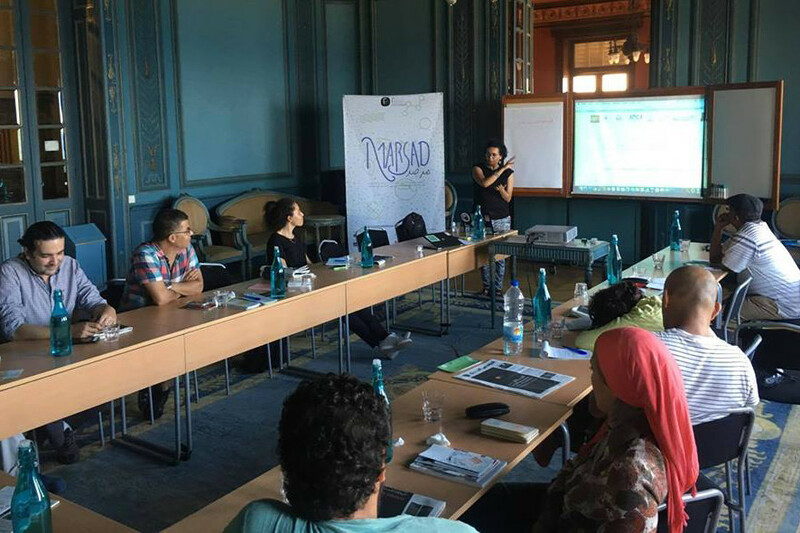 Training sessions took place between the 25 and 29 of September at École Supérieure des Beaux Arts de Casablanca. These sessions included talks about collective memory, public space, collaboration in curation and gender roles in Culture and Art. 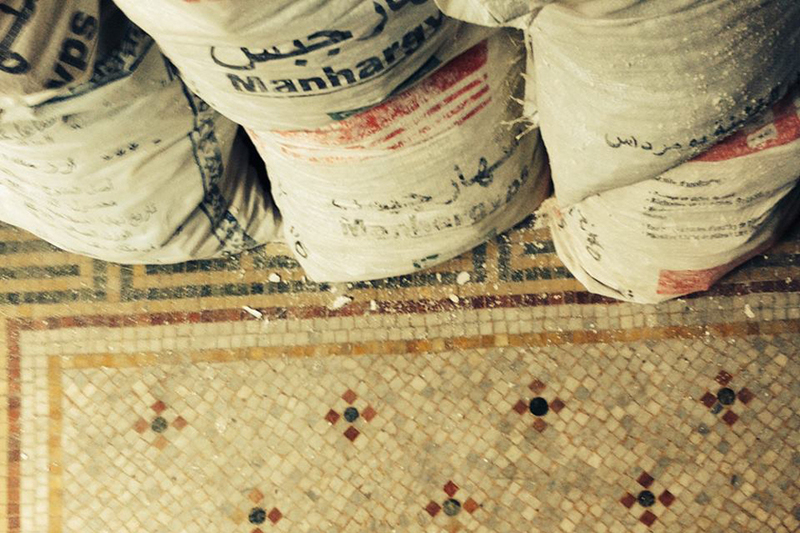 The participants also visited many cultural spaces in Rabat such as ‘Le Cube’, ‘l’Appartement 22’, etc. The Madrassa Residencies were implemented between 1 and 10 October, simultaneously in the Atelier de l’Observatoire in Casablanca, ARIA in Algiers, MASS in Alexandria and Spring Sessions in Jordan. The residents were mentored by curators and artist from the MENA region and Europe such as: Noura Al khasawneh and Victoria Dabdoub, from Spring Sessions, Lea Morin and Mohamad Farji, founders of Atelier de l’Observatoire, Berit Schuck, curator from Berlin and based in Alexandria, and the Kurdish artist Ahmet Ogut founder of the Silent University – a knowledge exchange platform by refugees, asylum seekers and migrants. 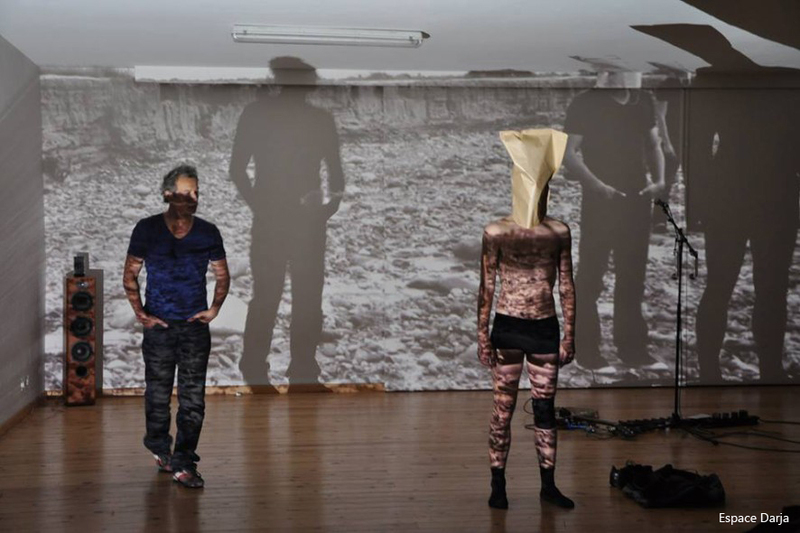 The main aim of this programme is to render art more accessible to all. By promoting collaborative projects and transnational exchanges, Madrassa offers a platform for experimentation to the region’s emerging curatorial talents. 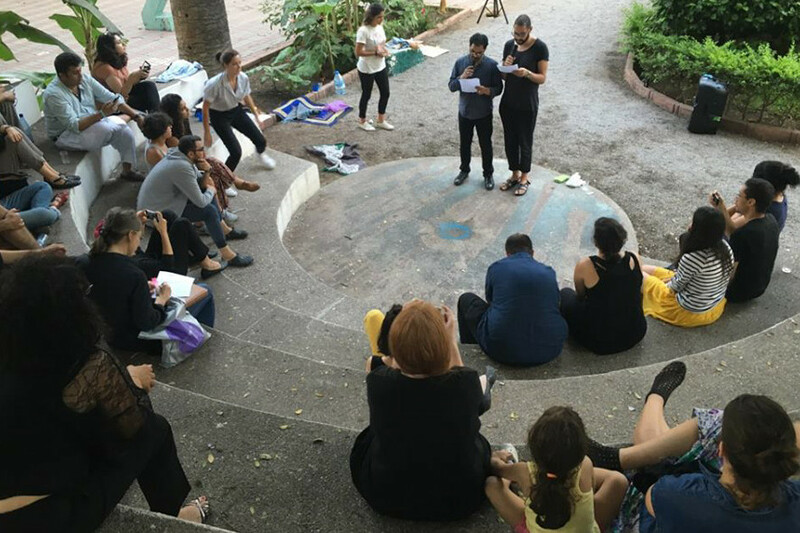 As part of the project, Culture and Theatre against discrimination, sub-granted by SouthMed CV, The Egyptian Feminist Union, in partnership with University of Cairo and the Egyptian Ministry of Youth, conducted a three-day forum from the 6th until 8th of August 2017 in Cairo’s Al Jazeera Youth Centre. 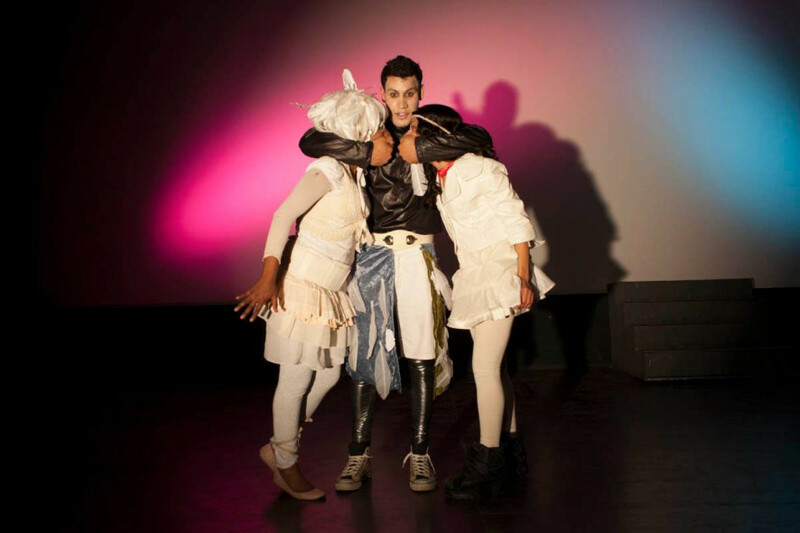 In this forum, 180 young people participated in dialogues with experts from different fields, in multidisciplinary workshops, and attending performances about gender and religious-based discrimination. The young people registered by applying to a call opened throughout June and July, came from the youth centres of Minia and Alexandria, which are administered by the Ministry of Youth. Young students from Cairo University also attended the forum. During the 3 days, the participants attended theatre workshops led by directors Mazen El Gharbawi, Khaled Reslan and Engy El Bestawy; a photography workshop led by photographer Mahmoud Nour; a visual arts workshop led by artist Randa Fouad; and drawing, painting and music workshops. 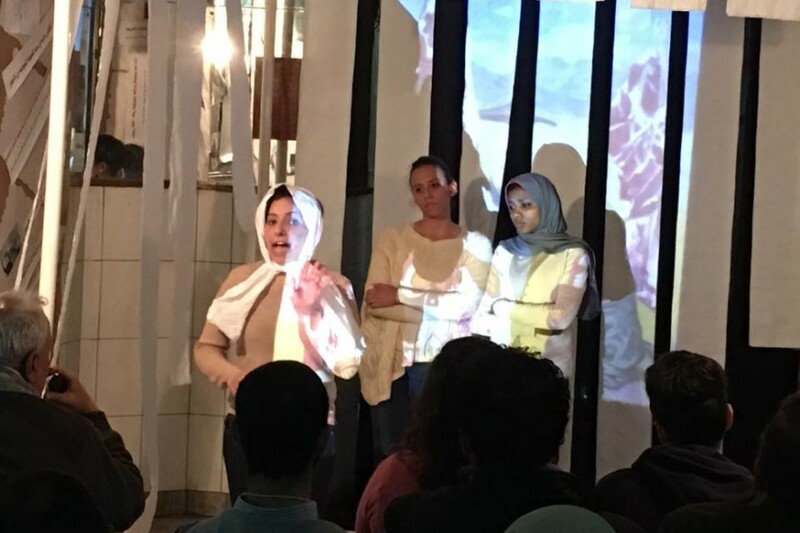 The youth also attended a Social Theatre performance by theatre group Portsaid’s Short Stories, addressing the issue of sexual harassment and gender stereotyping. A press conference was held on the 7th of August, with lectures given by Dr Gaber Nassar, previous president of Cairo University, Dr Ammar Aly Hassan, renowned writer and researcher, Mrs Randa Fouad, Writer and artist, Priest Mohsen Najem, Dr. Mona Makram Ebeid, expert in Political science, and Dr Houda Badran, Chair of the Egyptian Feminist Union. During this event, the audience was engaged in a debate about topics such as discrimination, gender equality, gender violence, religious extremism and cultural taboos. 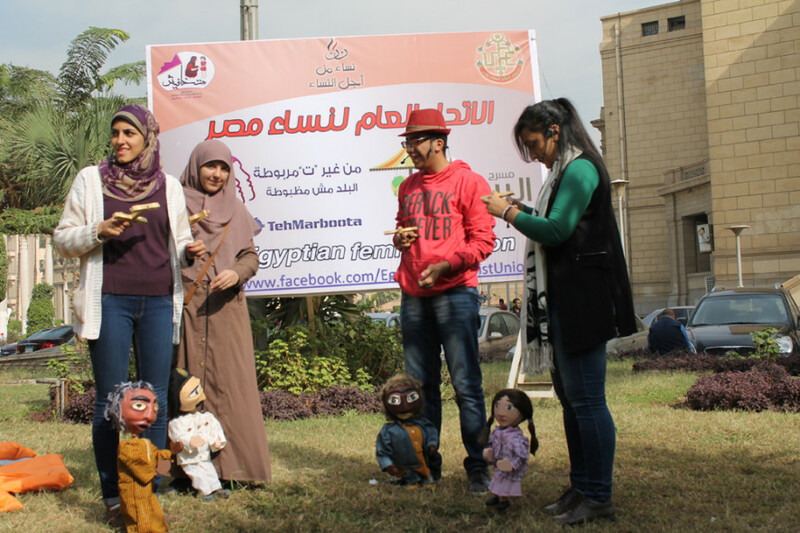 The future activities of the project include a capacity building programme for theatre groups in Egypt, for this purpose a call was launched, and the selected beneficiaries will receive a grant to make a theatre piece in which to address the topics of gender and/or religious based discrimination. The call was closed on the 25th of August. 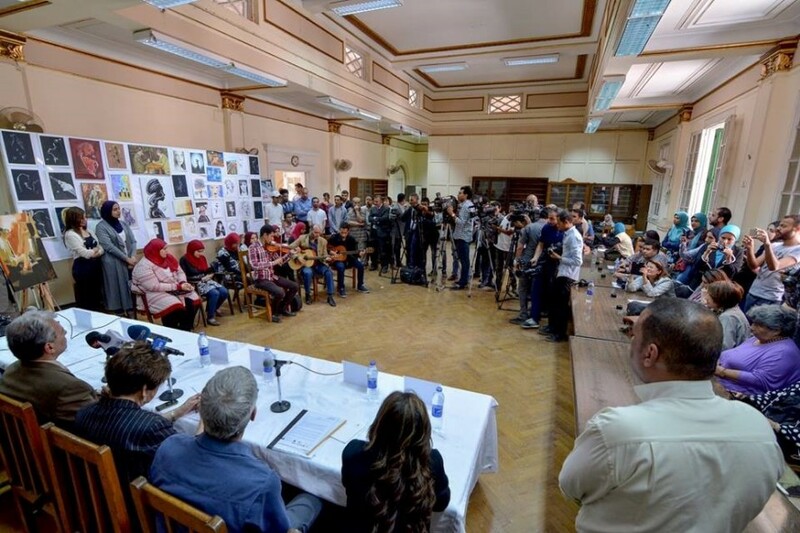 The EFU is continuously mobilizing artists and social experts to continue coaching workshops in Cairo University, and the Youth Centres of Minia and Alexandria. Interarts launches a call for professionals with proven experience in the evaluation of cultural cooperation and development programmes and projects in the Southern Mediterranean region, to carry out an external evaluation of SouthMedCV – a three year’ EU co-funded project within the framework of the regional programme Med Culture. The overall objective of SouthMed CV is to strengthen the work and capacities of cultural operators, practitioners of different art disciplines in the Southern Mediterranean, to give support and promote a set of innovative projects which, by means of a continuous coaching and evaluating process, are disseminated in the region. Applicants will have to submit a written proposal according to the following terms of reference before the 4 September 2017. Proposals must be written in English and sent to info@smedcv.net. Tashbeek is one of SouthMed CV’s sub-granted projects supported under the second call. It is implemented in Jordan by Tajalla in partnership with Atabet Fann from Palestine and Ruwaq al Ordon and Medeart from Jordan. Tashbeek aims at building the capacities of cultural workers and associations in different parts of Jordan and ultimately creating a self- sustainable and collaborative network of individuals, associations and spaces by organizing artistic and cultural exchanges and dialogues throughout the different cities and areas in Jordan. In May 2017 the project launched a call for participations. 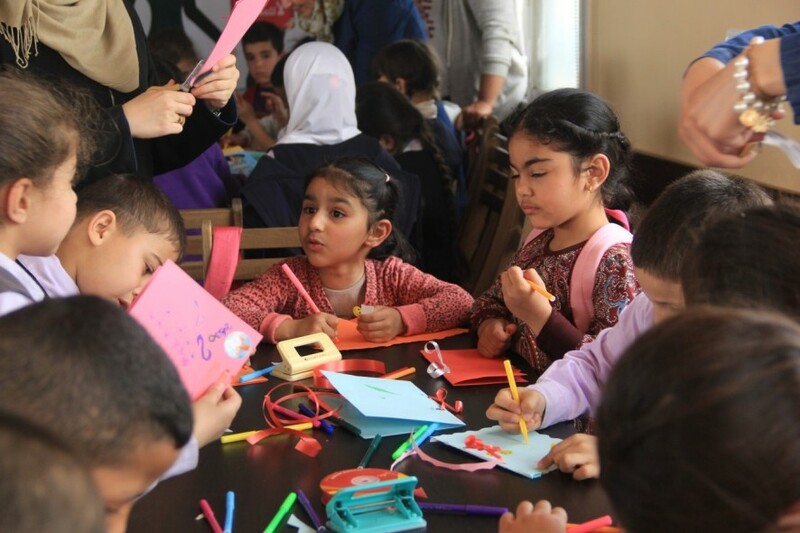 248 applications were received from individuals working in culture, cultural associations, NGOs, and cultural departments of the governmental institutions, based in different governorates in Jordan, some of them also working in marginalized areas. The applications are currently going through the last phase of assessment and selection. 50 applicants will be selected to participate in the capacity building programme composed of 3 sets of training sessions: technical, artistic and management training, which will take place from July until November 2017. These sessions are planned according to the needs expressed by the applicants and the requirements of the cultural scene in Jordan. 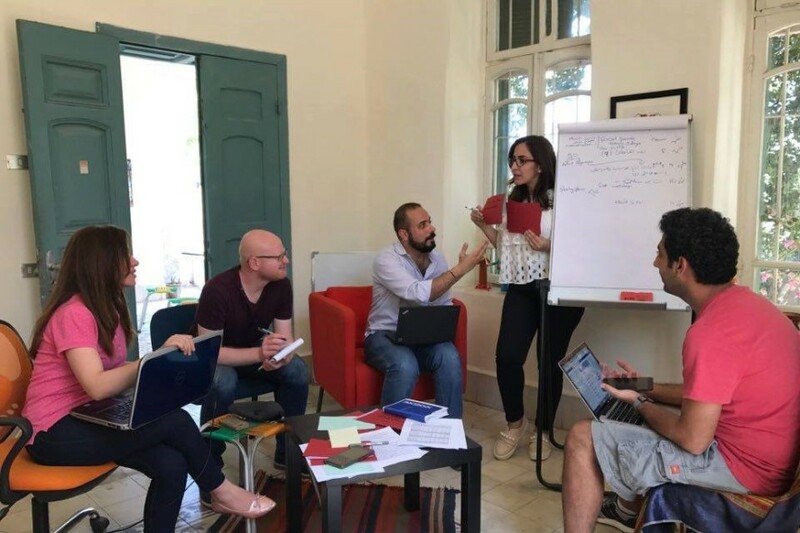 The main aim of this project is to create a sustainable network of cultural organisations, cultural workers and artists in Jordan to share expertise and exchange knowledge and resources, and work together on a strategic plan for the cultural scene in Jordan. 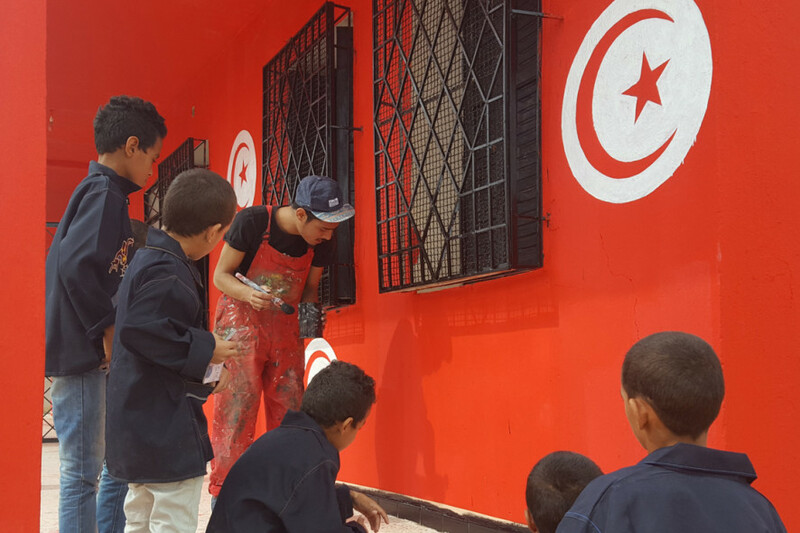 MED DEMOS/PACE LAB responds to the needs of civil society, cultural and social institutions/NGOs as well as marginalized communities in Kairouan, Tunisia, to ensure equal access to public space. 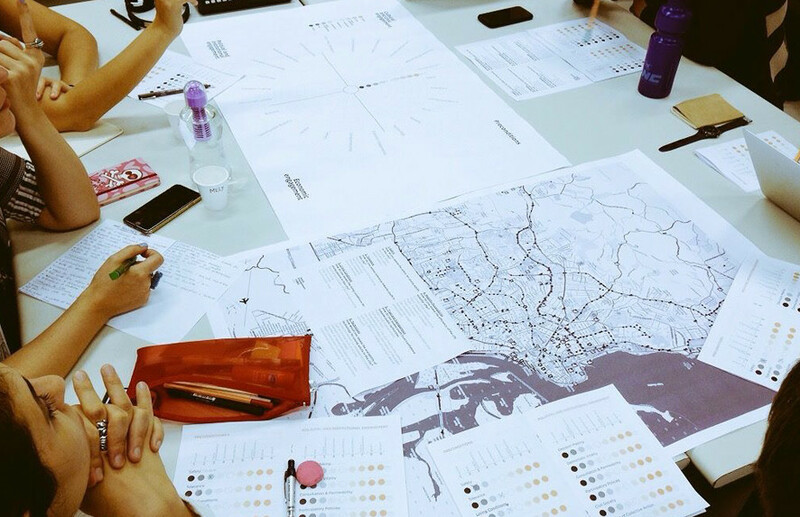 The project aims to foster social inclusion and boost public participation by creating sustainable links between artistic and social focused actors on local level and engaging young architects in practical artistic mission with social objectives. The project includes a charette which will engage architects, community groups and key operators, with the aim to produce an urban plan for the public space in Kairouan, a Live Lab Design and a Do Workshop: workshop will be implemented as a pool of education for young architects, and as a pretext to promote the inclusiveness of the public space. A cultural management workshop, a conference and the creation of an art work in a public space, will be implemented as well. Kairouan Community was established in 2014 as a grass-root coalition/community type CSO/NGO. 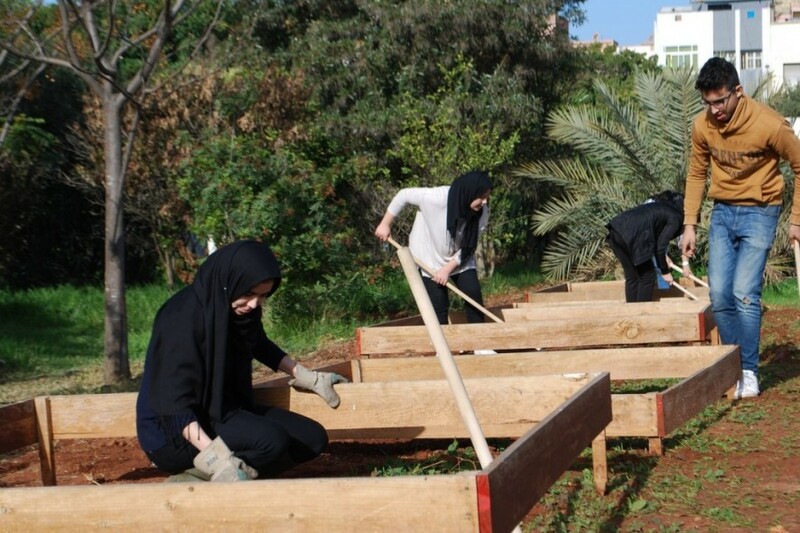 The main goals of the organisation are sustainable environmental, social and economic development in Tunisia, an the activation of disadvantageous and marginalized areas and vulnerable groups and communities. This project is a partnership between Kairouan community, Ecole National d´Architecture et d´Urbanisme in Tunis and Ecole d´Architecture de Casablanca. 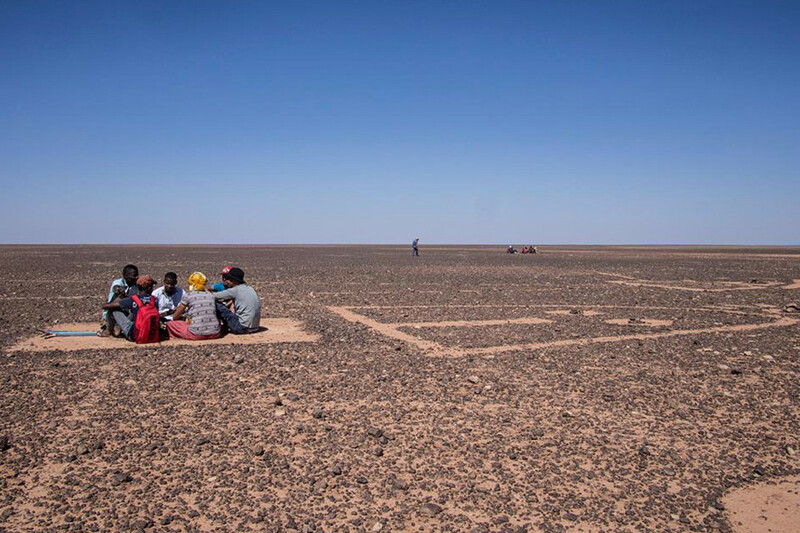 The lack of cultural spaces and cinema halls is a problem in Regueb Sidi Bouzid governorate, as well as in many other governorates of Tunisia. 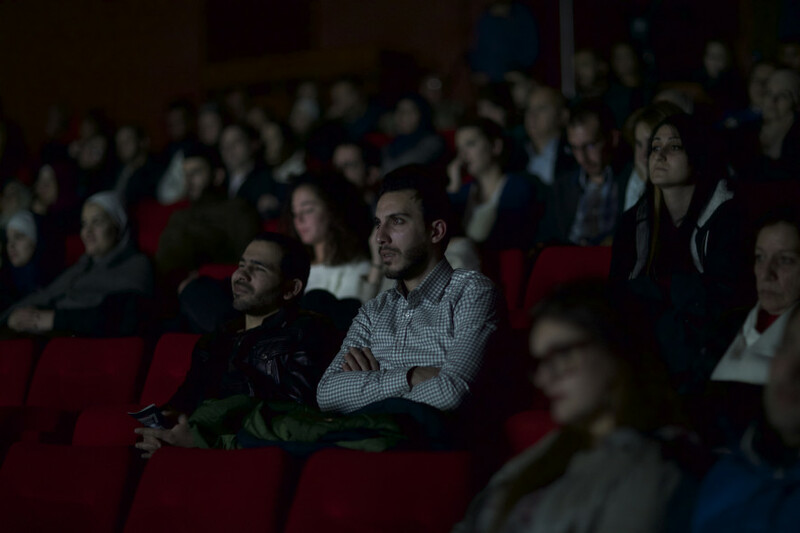 Small Screens aimed to facilitate access to cinema for children and youth from small towns that do not have the opportunity to discover cinema and learn about it. 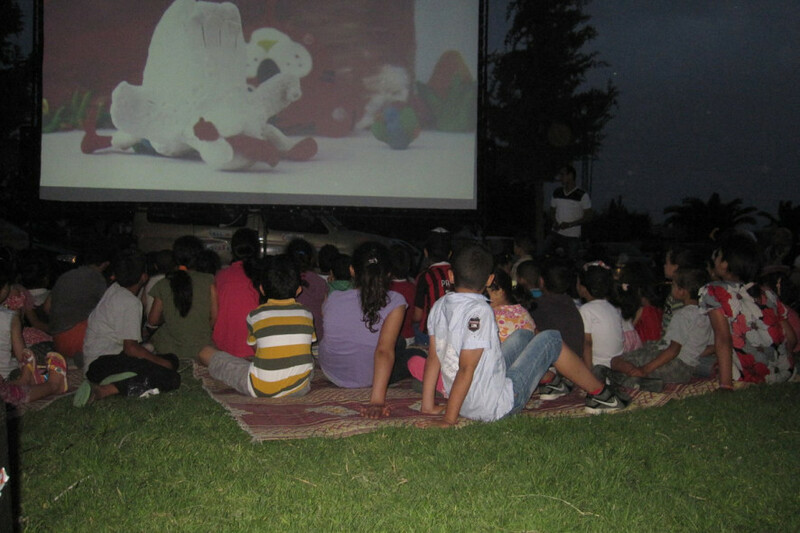 The project reached 8 schools in the Regueb delegation, where movie screening followed by debates took place, teachers received training in culture and cinema, 8 school cinema clubs were created, and 8 short movies were produced (one in each school) with the active participation of the students and teachers. 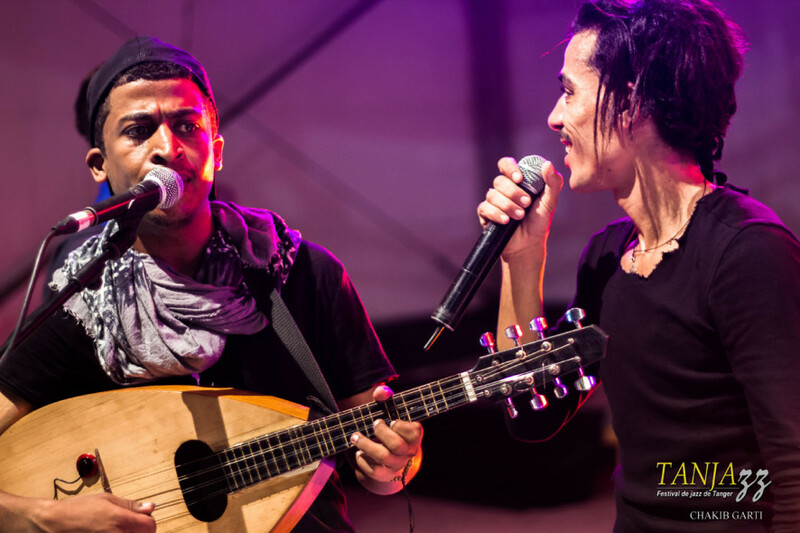 Small Screens is implemented by Association Tunisienne d´Action Culturelle – ATAC, operating mainly in the delegation of Regueb in Sidi Bouzid in the cultural and social fields as well as in development and human rights. 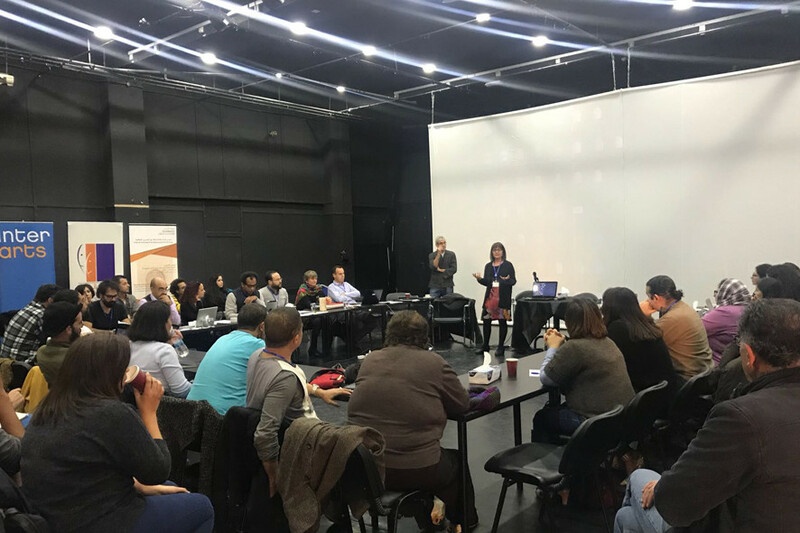 ATAC has partnered with Cinéma Itinérant Roadmovie – CIR, a non-profit organization promoting cinematographic culture in Tunisia, making cinema accessible in marginalized communities, and with the Ministry of Cultural Affairs and the Ministry of Education of Tunisia. Following the close of the 2nd call on October 26th, the SouthMed CV evaluation commission has evaluated the 160 applications received from Morocco, Algeria, Tunisa, Egypt, Jordan, Palestine and Lebanon. 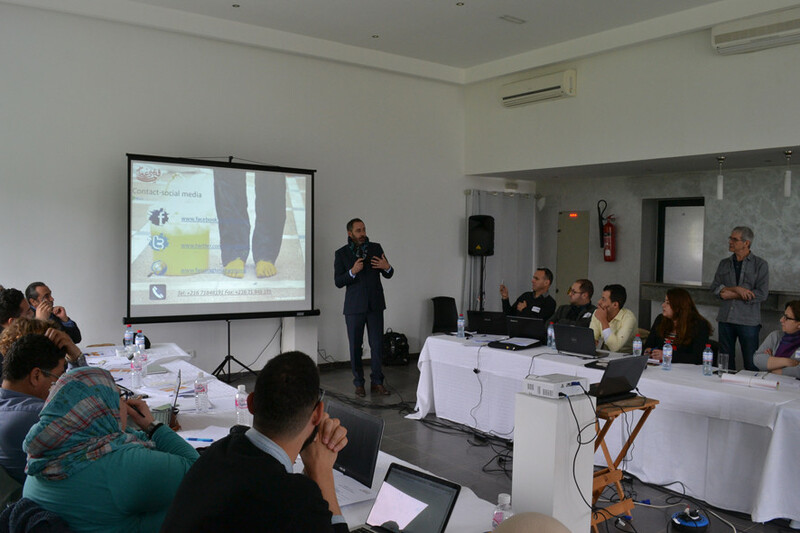 The last evaluation session took place during the SouthMed CV partners’ and MedCulture meeting in Amman from 6 to 9 December. Of the 160 submitted applications, 56 project proposals were assessed as not eligible since they did not comply with the call guidelines and/or budget requirements. 104 submitted applications were assessed as eligible and were graded according to the evaluation criteria: 46 of these project proposals scored a mark under the threshhold of 75/100 and, consequently, were not selected; 58 of these submitted applications scored a mark equal or higher than 75/100, and were admitted to the final phase of the evaluation, of which, 29 project proposals were not awarded. 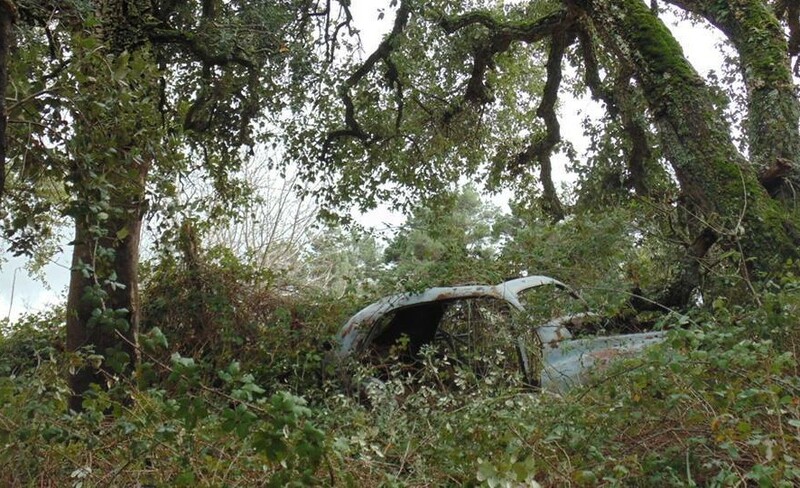 In compliance with the evaluation criteria and the 1.000.000€ financial provison for the 2nd call, 22 project proposals have been selected for the award of a grant. A further 7 proposals have been included in a reserve list: projects in this reserve list might eventually be awarded a grant, ONLY if any of the 22 grantees is not able to sign the contract and/or implement the awarded project within three months following the publication and communication of the results. SouthMed CV reserves the right not to award all available funds if the grantees are not capable of implementing their projects according to the selection criteria and the 2nd Call Guidelines. ´´Participatory research and artistic divulgation of Intangible Cultural Heritage associated to Chefchaouen Mediterranean Diet´´ project aims to research and recover Chaouen´s traditions related to food and way of life, and to encourage and bring awareness about the importance of intergenerational exchange and transmission of knowledge related to culinary and linguistic traditions. 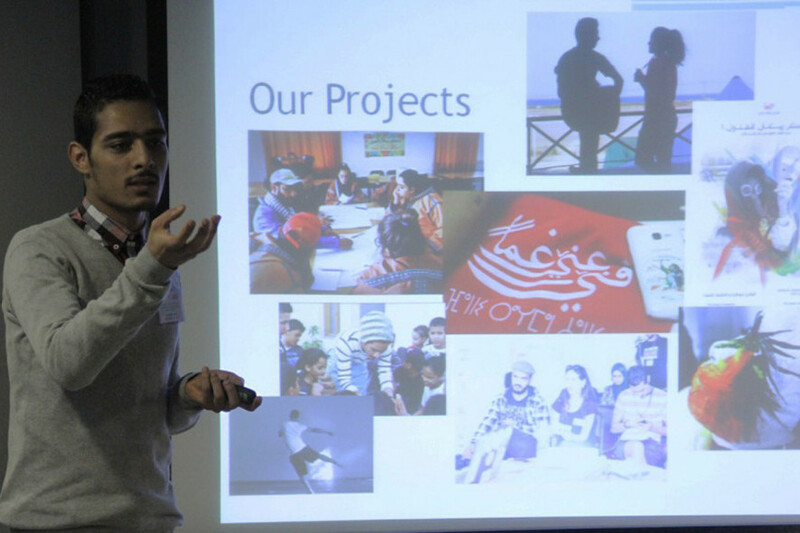 The project started out with training activities for 17 young people that study or work in the field of sociology, geography and philosophy, about territory and Mediterranean diet, investigation and data collection, and communication skills. 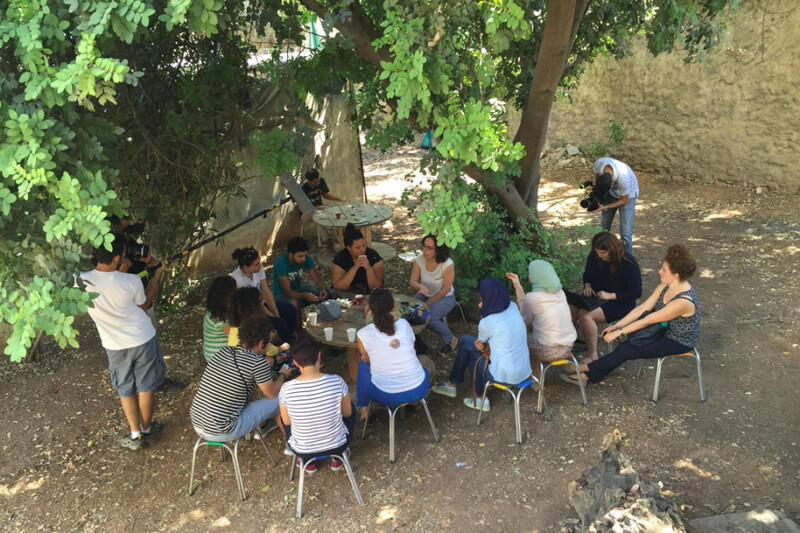 From this training, a group of 7 researchers was selected to conduct interviews in Chaouen, with elderly people about the Mediterranean diet and traditions in this area. 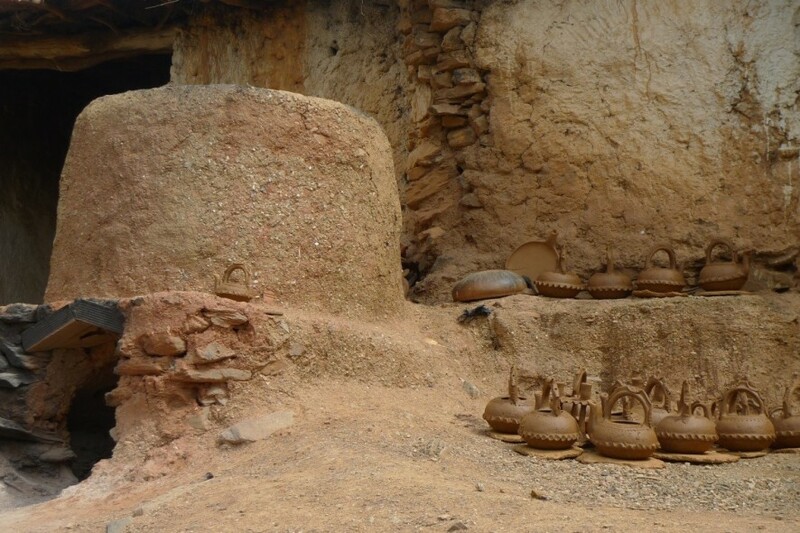 150 people were interviewed and the audiovisual and written information gathered from these interviews was assigned to the heritage documentation centre of the City of Chefchaouen and will be available for anyone interested. In addition to the research, 3 workshops for children has taken place, in theatre and storytelling, in painting, and in traditional ceramics which was given by an elderly woman from Chefchaouen, which was an intergenerational transmission experience. The final product of this project is a book that will be published in Arabic and in Spanish (being the 2nd language of the region) about traditional crafts work, recipes, ways of agricultures, lighting, storytelling, and many more traditions from the Chaouen region, from the information gathered throughout the research. 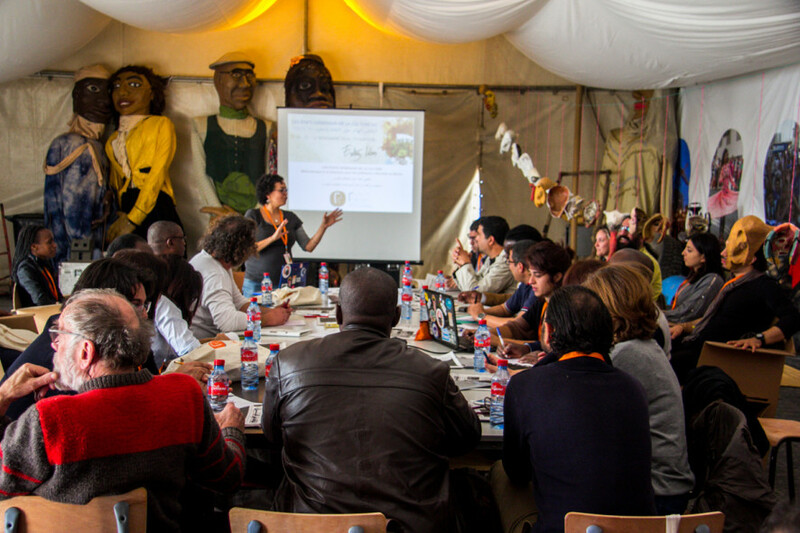 ´´Participatory research and artistic divulgation of Intangible Cultural Heritage associated to Chefchaouen Mediterranean Diet´´ project is led by Association TALASSEMTANE pour l’Environnement et le Développement (ATED) in partnership with diversité et development and the Municipality of Chefchaouen.